Citrix Director standard configurations are fine for most cases, but when you want to configure Director so it’s a little more user friendly here are some changes I have made. Decrease the web page load time. 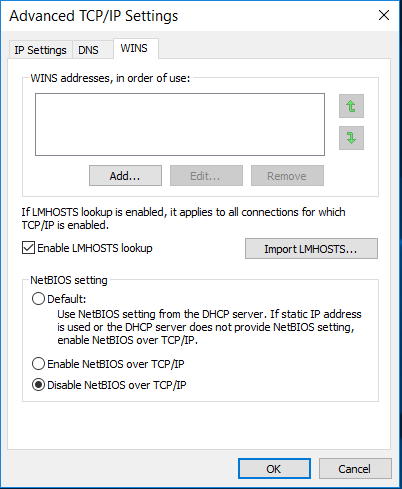 Disable NetBIOS over TCP/IP in the network adapter properties. Right Click on the Adapter and choose Properties. Select Internet Protocol version 4 and Click Properties. Modify 32bit and 64bit ASPNET.CONFIG files. The 64-bit config file located at C:\Windows\Microsoft.NET\Framework64\v4.0.30319. Change the default IIS Site to Director login page so users don’t need to remember the full URL. Allow access to all your XenDesktop Sites and XenApp Farms. Change search options for additional domain lookup.